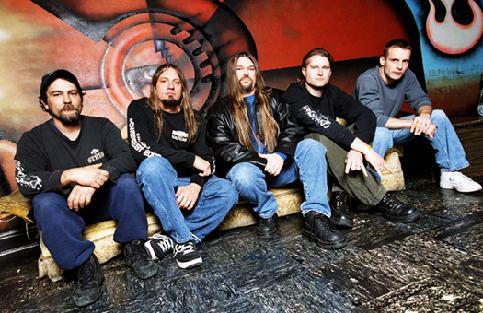 Twelfth Gate (2002-2015) is a Thrash Metal band from Chicago, Illinois, USA. orn of the Chicago metal scene, Twelfth Gate was determined to solidify their place among the underground metal elite by recording and releasing albums that continued to pummel the listener with their brand of metal. Armed with crippling riffs, intense guitar work, a crushing rhythm section, and powerful vocals molded together to generate songs stocked full of the band's trademark progressive and thrash elements, Twelfth Gate is ready to take on every last corner of the metal world. Since the release of their highly praised debut, Summoning (released on 'Crash Music' in 2003), the band had been busy writing and growing. With the addition of ex-Oppressor guitarist Jim Stopper, bringing his technical death metal riff mastery to the table, the band produced a follow-up titled Threshold of Revelation (2006) that promised to deliver darker, heavier, more apocalyptic songs. After the release, however, singer Scott Huffman left leaving only Rich Knight (guitars), Jim Stopper (guitars), Rob Such (bass), with newly joined drummer Dan Kapusta (drums; would later be replace by Mike Nevaril). After Threshold of Revelation, however, the band has been silent since.